Budweiser is nearly as famous for its Super Bowl ads as it is for its beer – many of us, in fact, probably fancy ourselves bigger fans of the annual commercials than the beverages (although you may be surprised to learn that some of you favorite American “craft” beers are in fact owned by Budweiser parent company ABInbev). This year will not disappoint. Budweiser has already released one of several Super Bowl ads, touting the company’s self-proclaimed commitment to sustainable energy use. This time, Budweiser’s tried-and-true Clydesdales share the spotlight with an adorable dalmatian dog, whose ears flap in the wind on a wind farm with a dramatic background of the American Western landscape. Other stated commitments include an order for 40 Tesla electric semi trucks to add to the company’s distribution fleet. The order, placed in 2017, should be final and ready to roll this year. 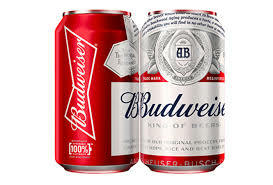 Will Budweiser ultimately show itself as a leader, occupying the forefront of sustainable international business practices and setting an example for its peers? Time will tell (yes, I am avoiding a blowin’ in the wind reference here. Just can’t do it). At the very least, we are promised another adorable Budweiser commercial featuring horses, dogs, beer, and Bob Dylan lyrics, and this time its all on a beautiful backdrop of hillsides and wind turbines.